This month our Italian Food, Wine & Travel group is exploring verdicchio from all over Italy. One of the areas I am most familiar with when it comes to verdicchio is the region of Le Marche, which is located in central Italy. 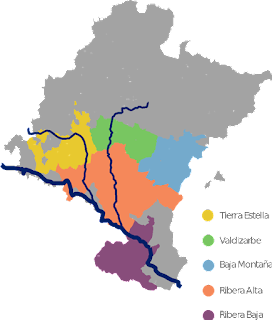 Le Marche has a long coastline along the Adriatic and touches 5 other regions to its west including Emilia Romagna to the north, Tuscany, Umbria and Lazio to the west and Abruzzo to the south. 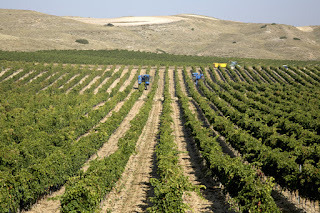 When considering verdicchio from Le Marche wine region there are 2 main wines to consider. Those from Castelli di Jesi and Verdicchio di Matelica. 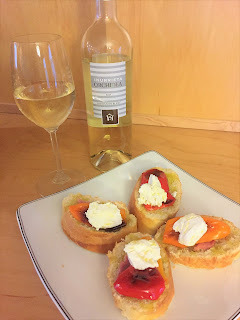 I have previously wrote a comparison of the two verdicchio some time back that you can read more about. You’ll also find this grape in the wines of the Veneto, specifically those of Soave where its known as trebbiano di soave. There it is used as a blending grape with garganega lending it’s high acidity characteristic. Tenuta di Tavignano is located in the town of Cingoli in the Ancona province. 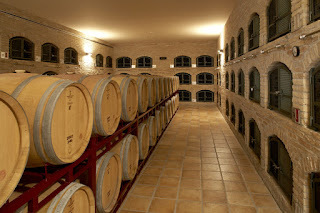 Set up on a south-eastern sloping hill overlooking the Jesi valley the winery is surrounded by mountains including the Appenines and Mount San Vicino. You’ll find the vineyards of Verdicchio dei Castelli di Jesi located on the northern side of the Misa river. The Jesi were an ancient tribe that resided on the castelli, or castles, situated on top of the hillsides as Tenuta di Tavignano is. 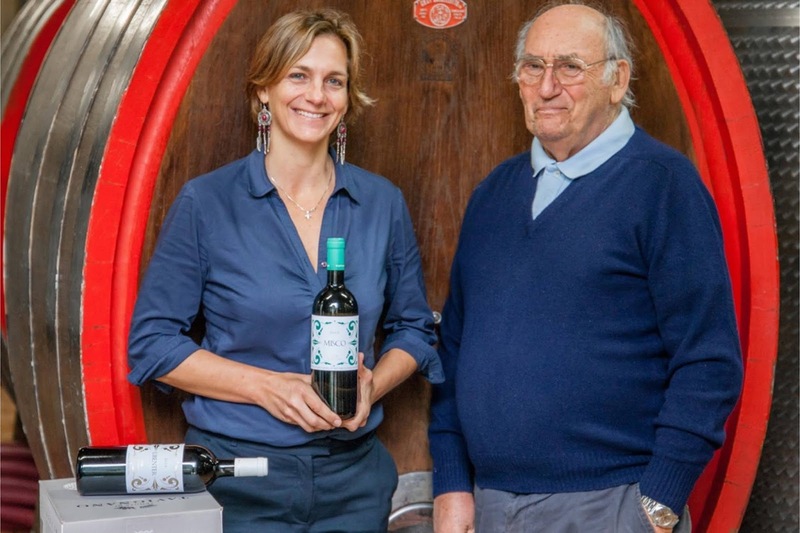 The history of the winery goes back to the 70’s when it was purchased by Stefano Aymerich and his wife Beatrice Lucangeli, a descendant of nobility in the Marche region. They didn’t begin to start thoughts of making wine until the 90’s when they revamped the estate and planted grape varietals. 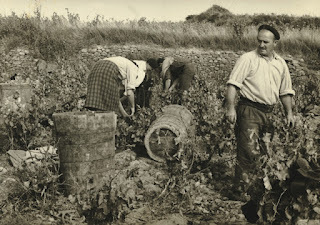 Their goal was to become a producer of top quality verdicchio. Today the winery is managed by Stefano’s niece, Ondine de la Feld on 30 hectacres of vineyards. 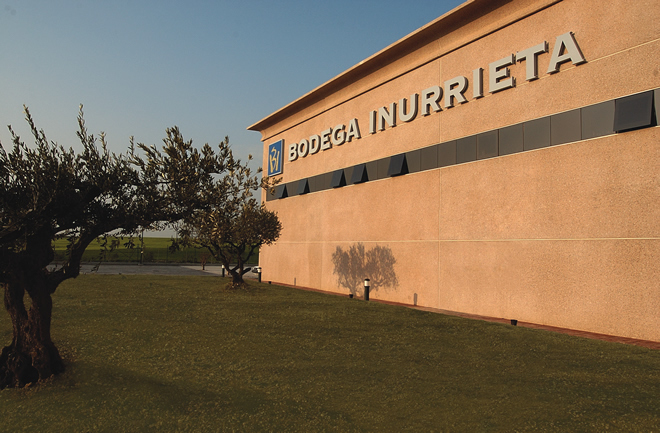 The winery since 2015 has also been working towards being organic. All their grapes are hand harvested and whites are softly pressed at low fermentation temperatures. I had a bottle of their 2014 Tenuta di Tavignano Villa Torre Verdicchio dei Castelli di Jesi DOC Classico Superiore that I opened this week. I wish I had time to prepare something with it, but it was a very enjoyable wine all on its own. I know everyone is all about wine pairings, but I thoroughly enjoy having wine solo before any pairings are involved anyways. Color: brilliantly crystal, straw color with a tinge of green, almost clear. Palette: A crisp, dry white wine with a nice balance of fruit, lemon citrus backed with solid acidity, good sapidity and minerals. Pairing: Due to its proximity to the sea I can definitely see this wine pairing well with seafood dishes. It saddens me that so many people are out there drinking cheap pinot grigio when they can get such fantastic white wines like this verdicchio for such great values, but don’t have the knowledge of what a verdicchio is. Hopefully we help break some of that here on Vino Travels. 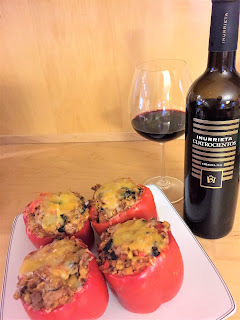 Nicole at Somm's Table posts Cooking to the Wine: Azienda Santa Barbara Verdicchio and Tuna Melts. Gosh time flies! It's hard to believe that the thought of starting a blog 5 years ago has brought me to where I am today. This month Vino Travels celebrates its 5 year anniversary. I started this blog as an idea to encourage myself to learn more about Italian wine weekly by doing researching and sharing the gained knowledge with my readers. I never thought it would have taken me on the long journey it has. I've met so many great folks in the industry mostly online, but also in person via events that I have attended. My greatest accomplishment was becoming certified as an Italian Wine Specialist with the North American Sommelier Association. I've made blogger friends all around the world having the ability to be able to meet some of them in person. 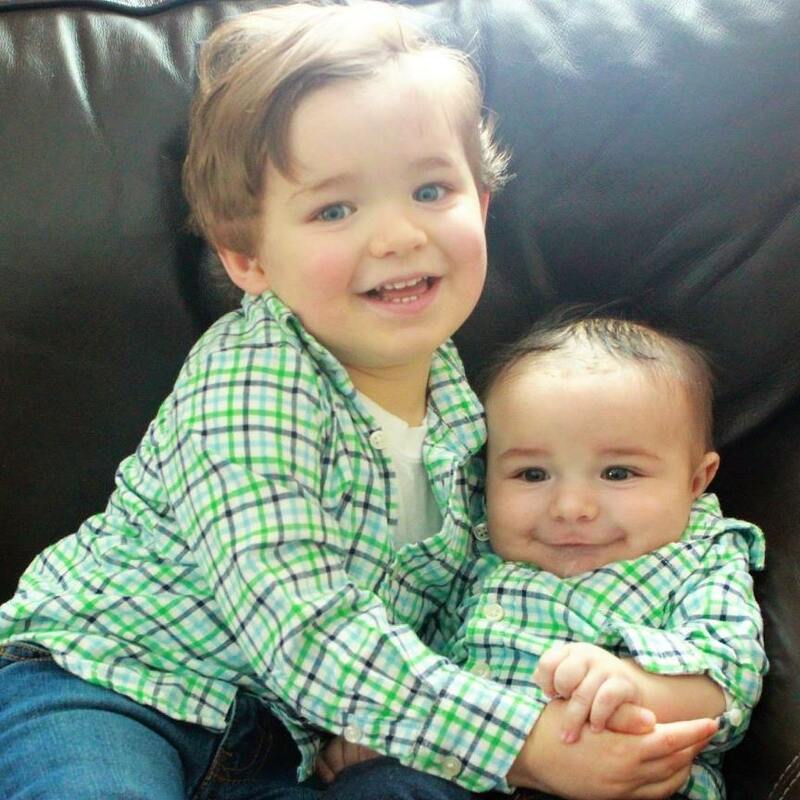 I've been fortunate to have visited Italy by invitation on a couple of occasions to dig into the wine regions, meet winemakers and tour the facilities with more offerings recently, but unfortunately my 2 little bundles of joy that I've had over the past couple years have kept me from doing so. It's only a moment in time and I know I'll be able to get back over there soon and be able to share some of those personal explorations with you soon enough. My reasons for the recent slow down on blog, but all worth it, dont you think?! I wanted to thank all my readers for the support in following my journey as I further explore my passion for Italian wine. There is always more to learn, especially in the world of wine. I highly encourage you to reach out to me as I love to hear from readers whether it's to share your thoughts on my blogs, what you'd like to see more of or just tell me a little about yourself as I love to hear all about everyone's passion for all things Italian or wine related. I wish I heard from my readers more. Here's to tasting many more great Italian wines, sharing more stores and another great 5+ years. Cin cin!